The States could be hit with a huge compensation bill after refusing to grant an import licence for a Hummer car. In a groundbreaking civil case at the Court of Alderney, local builder Mark Maurice is challenging a decision made by former States chief executive David Jeremiah. It is the first time a judicial review application has been made in the island. 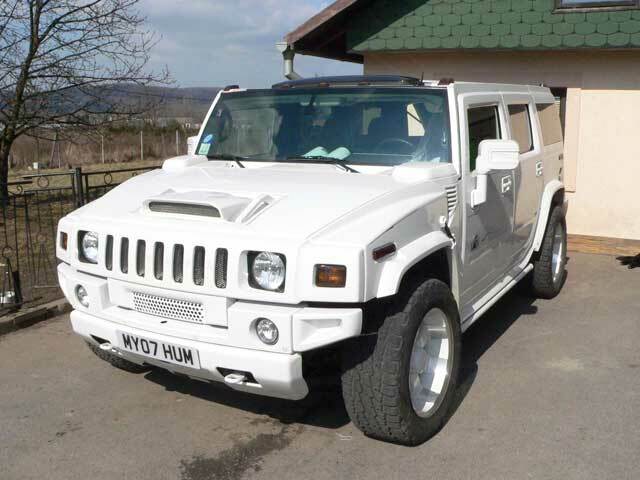 In April last year Mr Jeremiah, who retired three months ago, refused to grant Mr Maurice a licence to bring a Hummer H2 Lux to the island - despite the vehicle meeting width, length and weight guidelines issued by the States. Advocate Iain Harris, representing Mr Maurice, said Mr Jeremiah had abused his position and made an unreasonable and unfair decision. "A licence application is an administrative matter," said Advocate Harris. "The defendant did not have discretion to make a decision. Even if he did have discretion the decision he made was unreasonable and perverse and should be set aside. 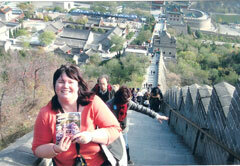 "The import licence fee was introduced in 2003. Heavier vehicles were charged more as a deterrent to bringing them in. There is no suggestion in the law that the chief executive could exercise his own system of control. "A licence should be issued on payment of the fees. David Jeremiah made an illegal decision." Advocate Harris said the Hummer was similar to numerous island vehicles, including a BMW X5, which was imported last year. The car in question is 15ft 8in long and 6ft 9in wide. 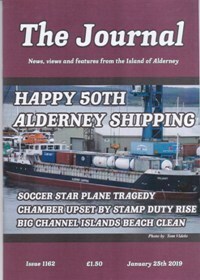 The maximum vehicle length in Alderney is 30ft, while the maximum width is 7ft 6in. The island's weight limit is 10t laden; the Hummer weighs less than 3t laden. Advocate Harris said: "The vehicle has similar dimensions to a Range Rover. There are other vehicles of greater length and width in the island. "The plaintiff expected a licence, as he has imported similar cars in the past. He would not have bought the car if he didn't expect to receive a licence." Advocate Harris criticised Mr Jeremiah for consulting the General Services Committee on the matter. "The Policy and Finance Committee is responsible for import licences. It is not clear why he consulted General Services. "It is also not clear what the real reason for this vehicle being refused a licence was. The defendant seems to have pursued his own objective." Advocate Harris said Mr Jeremiah's decision should be quashed and reconsidered. He also said Mr Maurice would seek costs. Advocate Richard McMahon, for Mr Jeremiah, said import licences were not granted "out of right". He also said Mr Maurice's Hummer was bigger and heavier than any vehicle which had ever been imported for private use. "Mr Jeremiah wrote to Mr Maurice and said licenses were not granted out of right. He should therefore have no legitimate expectation that one be issued. "The Hummer is bigger and heavier than any vehicle which has been granted a licence before. Is it too much? Yes. The claim should be rejected." Advocate McMahon said details on other cars imported were "irrelevant". He also said Mr Jeremiah had consulted the police on the matter and the General Services Committee, as it was responsible for traffic matters. The court is expected to issue a decision in a week's time. Jurat Steve Collins, chairman of the bench, said: "The Jurats reserve judgement, giving seven days notice, so aspects of the case can be fully discussed and considered."